In our world of seemingly unlimited computing, numerous analytical approaches to the estimation of stress, strain, and displacement, including analytical, numerical, physical, and analog techniques, have greatly advanced the practice of engineering. Combining theory and experimentation, computer simulation has emerged as a third path for engineering design and performance evaluation. As a result, structural engineers working in the practical world of engineering must apply, and ideally, thrive, on these idealizations of science-based theories. 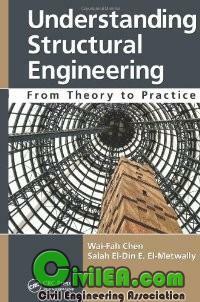 Developments and advancements in structural engineering hinge on a few key breakthroughs in concepts, simplifications and idealizations. Simplification, the art of structural engineering, is a key theme throughout this book. But the authors go further—their clear explanations of the role and impact of new, science-based developments shows you how to put them into practice. Developments and advancements in structural engineering hinge on a few key breakthroughs in concepts, simplifications and idealizations. Simplification, the art of structural engineering, is a key theme throughout this book. But the authors go further – their clear explanations of the role and impact of new, science-based developments shows you how to put them into practice.